EMS was on the scene to verify the safety of the students. 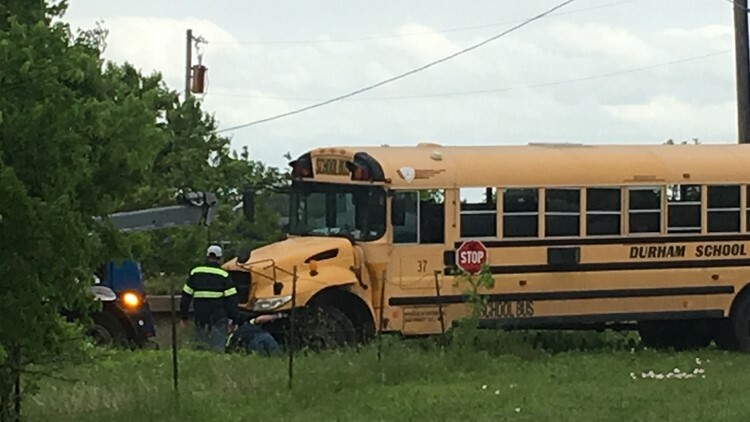 PFLUGERVILLE, Texas — A school bus from Dearing Elementary School carrying 25 students crashed on Tuesday afternoon in Pflugerville. The crash happened at Heatherwilde Boulevard with the SH 45 interchange when the bus hit a stationary vehicle. None of the 25 students on board at the time were injured, Pflugerville ISD said. EMS was on the scene to verify the safety of the students. The driver of the bus was taken to the hospital. The students were loaded onto a replacement bus once they were cleared.